The President of all Social Clubs at work needed to stock up on Coca Cola cans for the the thirsty workers, so off to Costco we traveled at lunch. After a lengthy perusal of all the bulk fantastic, foreign and exotic Costco items that one just doesn’t need but is ever hopeful to purchase one day, we crossed the road for lunch. As much as I’m truly obsessed with Costco, their fast food options don’t do it for me. I wanted laksa. Either that or a Frank n Beanz hot dog, or Quesedilla, or their pulled pork bun…I was confused with the choice, to be Frank. But finally settled on a noodle dish from Hokka Hokka. As soon as the request was out of my mouth I knew it was a bad one. 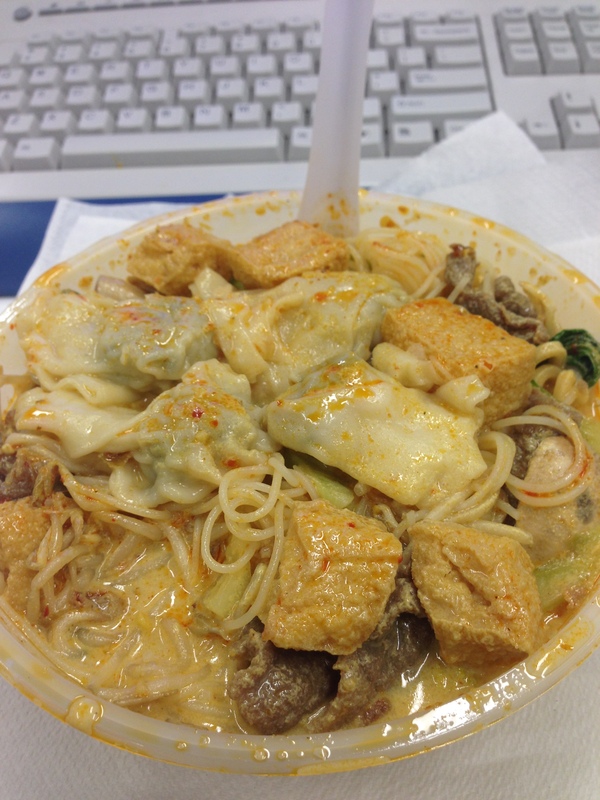 A beef and wonton laksa with extra tofu. I am a fan of lots of tofu, love the stuff. It was ready in about 8 minutes, so in a busy lunch period that wasn’t too bad at all. I sat down with my colleagues, really looking forward to the spicy coconutty tofuy broth. Digging around I immediately noticed there were only 2 pieces of tiny tofu and NO wontons. I was wonton those wontons. Back to the counter to request my missing items, where the lady proceeded to tell me they don’t have beef and wonton laksa. Yes you do it’s on the board behind you. 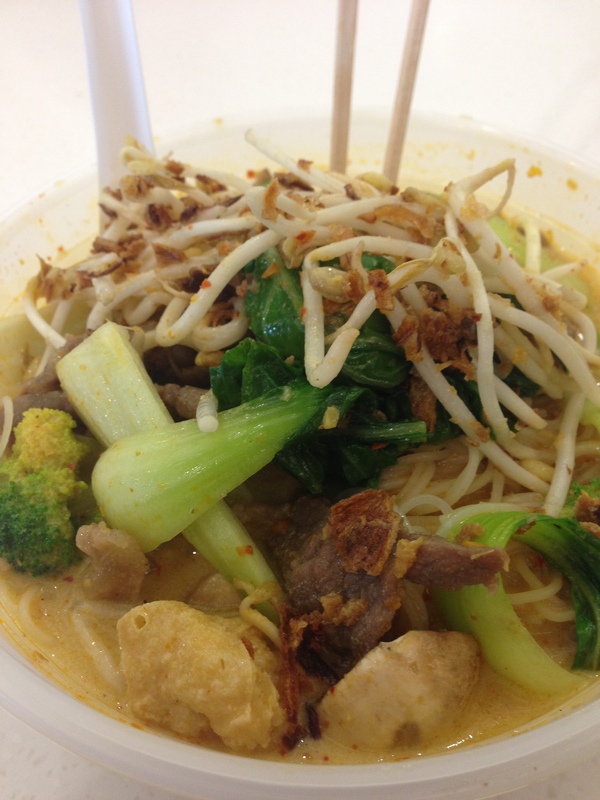 Ah, it’s only with the laksa if you order it. I know, I ordered it! And I didn’t get my extra tofu. Oh, you have to pay for extra tofu. Well, I would’ve paid when I first asked for it, but now I’m not. She took my bowl, I waited ten minutes and she returned it. Thank you, smiles, we’re all good. Bye bye 🙂 Now the girls are ready to go back to work so I have to wait til I get to the office to eat lunch. Lot’s and lots of tofu, which was great, 4 wontons that were thick, floury and had gristle in them 😦 The soup was nice, the button mushrooms odd, a couple of pieces of broccoli, lots of noodles and only a slight kick, my nose didn’t run, so it wasn’t fab.